The rundown town of Millville is looking for new residents to revitalize the town after the closing of the papermill. It is offering five families houses for the low price of $1. There are some qualifications. Each family must have at least 3 children and acceptable repairs must be made to the houses within the first year to earn each family official ownership. Lowen Grover's family has the opportunity to buy one of the dollar houses. It is the perfect chance for the family to escape the city and for Lowen to escape the guilt he feels for the violent death of his friend Abe. The Grovers have a plan. Mr. Grover will keep his job in the city and commute on weekends to help with repairing the multiple problems with their new house. Mrs. Grover, originally from England, has plans to open a small restaurant featuring Cornish pasties. With the help of Lowen and his brother and sister, they are ready to tackle the physical work necessary to make their new Millville house a home. Complications come in many forms. Some Millville residents are not as welcoming as others. A competitive business owner is determined to make selling Cornish pasties as difficult as possible. There's an uncooperative village council member, a coach who expects Lowen to develop his non-existent athletic skills, and living next to a funeral home is not the best way for Lowen to forget his role in Abe's death. There's a lot to overcome, but Lowen is determined that he and his family can make the best of a challenging situation. Author Jennifer Richard Jacobson's newest book THE DOLLAR KIDS captures the effects of today's financial crisis on a small town as well as the strength of family and friendship when the chips are down. 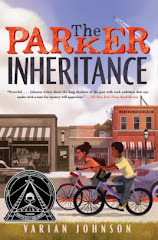 Lowen is an immediately likeable character, and readers will root for him to succeed as he attempts to leave behind the past and start fresh in Millville.